Editors Note: I apologize for any bad grammar or spelling. Edited this after a long day of school and work. Hope you all enjoy it! Dan Canadians: Welcome John. Glad to have you in the CBL. Welcome and congrats on taking over Portland. They’ve had a great reputation for being an up and coming team. Any opening remarks you’d like to make? John Portland: Yeah, glad to be here. But I don’t think Portland is up and coming. Lots of expensive players and couldn’t even make .500 last year. No pitching prospects at all. And big financial concerns. Budget was reduced $10 million this year and will drop another $20 million next year (by game projections). I dumped two expensive players to try to get this year under control $ wise. Another $20 million drop will kill Portland next year. So it’s not looking rosy at all. DC: Definitely good moves to look towards the future. Looking at the pitching staff, it looks way better than their 9th runs against they placed last year. However the offence was 1st despite having some holes. With this in mind, i will ask question 1. In a perfect world, what changes would you look to accomplish this season and what is your plan for this organization moving forward? How do you want to make your mark on this organization and in the CBL? JP: 1. The world isn’t perfect. I am pretty much stymied from doing much more this year than try to prevent further degradation in fan interest which suffered from trades of Bell and Anderson. Added a couple of low level FAs. No room to add any salary, and with attendance projection drops due to losing those two players, things look pretty glum. I’d like to trade another high paid player for good prospects, but no one seems interested in offering much. Those high paid players are all extremely popular, so trading them, even if plausible prospects were acquired, will further affect attendance. The budget drops combined with fan interest drops are devastating. Portland will be a long, long term reclamation project. 2. If I can make a mark, it will be to right the ship financially for an eventual slow improvement in on the field results. But it will take patience and time. Oh, and I am somewhat flabbergasted by the offenses being so much better than the pitching in this league as a whole. We need a new dead ball era. DC: Trading has been hard in recent years. I was looking at the trade history of recent years and it seems that it is a lot less than when the league first started. People are more money conscious in the league now and it is difficult to unload high paid players. Next question. Since it seems like you are pushing towards a rebuild/retool type of plan, how do you plan to draft and trade for prospects to build up your minor league system that is currently rated 12th out of 20 teams? Do you have a strategy that has worked well in the past? Without revealing your secret strategy too much of course. JP: Alas, I have no secret strategy. I’ve been trying to trade since I got here and made two trades. By any measure, I got less value back than I gave, but I had to reduce salary. I have no expectation of being able to get good prospects in trade for excellent but expensive players. I’ll be hoping that as the trade deadline approaches that I have something that someone wants for a pennant drive and is willing to give up some prospects to get it. Otherwise all I can do is draft sensibly and hope for the best. DC: Alright, last question. Coming into an organization with 3B Jacob Gatewood who has been selected to the all star 7 times, has 3 gold gloves and was MVP in the championship series in the 2025 playoffs and SP Cobi Johnson 2 time champ, 2 time all star, 1 gold glove, won ROTY in 2018 and 1 Bob Feller award as best pitcher, do you think you could push for a playoff spot with these 2 excellent players? I know you said your team looks like a reclamation project but I see some potential to make the playoffs this season. If you were in the last playoff spot right before the deadline, would you try to make a push to make the playoffs and take a shot for the championship? Playoffs are a crap shoot as GM Troj has said before. Anyone who makes it has a chance. JP: Simple answer. No. The pitching is weak. Johnson had an awful year and I don’t think he is what he used to be. The outfield is mediocre. The infield may be OK, but Gatewood, who is a stud, will probably DH. I’d say this team would be very fortunate to play .500 ball. That, actually, will be my goal. This is basically the same team as last year but without Russell Bell and Sandy Andersen. Even with Bell and Andersen, the team couldn’t play .500 ball last year. Agreed that playoffs are a crap shoot. In the unlikely event that we were in contention for a playoff spot and if attendance were up enough to make the likelihood of a negative cash balance at year-end less than it currently seems, then, yeah, I would maybe take a shot. DC: All good. It’s fun to have a project anyways. Who wants to come into a team that is stacked? And thanks for letting me ask you questions! Dan Canadians: Welcome Erik. Glad to have you here for this interview. You’ve been a signature GM in the CBL for years. Erik and the Millers have been well known to be a hard and fierce competitive organization. Erik Millers: Thanks Dan, great to be here. I appreciate the 20 ounce bottle of Maple Syrup you brought as a gift, but the naked signed Trudeau 8×10 was a bit much. DC: Hey. It’s Canadian custom to give both of those as a gift to non-Canadians (lol). However. Without further ado. Lets get this started. Question 1. Asking the question everyone wants to know. How hard is it to constantly lose to the Canadians in the playoffs and rarely having an answer for any team they bring? Surely you must return to your office after a playoff series loss just kicking your Gary Statue (which was made mandatory everyone in the league has in their office for some reason?) and trying to come up with an answer to their tough teams? Clearly taking Vancouver’s old garbage players didn’t work out for you in past seasons where that was the attempt. EM: Haha. It’s getting pretty old losing to not only you guys but basically anyone we match up with in the first round. I like to think of my organization as the Tracy McGrady of the CBL. Sometimes we look pretty good, but it never matters cause we just keep losing in the first round. We’ve actually had pretty good luck with the Vancouver castoffs, considering they were mostly just role players for you as well. DC: Vancouver does know how to pick good players. Smart to sneak them out of my hands. *Laughs* On to question 2. It looks like you might have a future HOF on your team with Robert Reynolds. The guy is 28 and already has enough PA to be the career batting leader in batting average, slugging % and OPS. Do you think this is the player that finally helps bring the Premier Cup to Minneapolis? He was drafted by you in the 1st round in 2023. He was then traded to Colorado shortly after, then traded from Colorado to Portland in 2024, then again traded from Portland to Atloona in 2028, then AGAIN traded from Altoona to Minneapolis last season. How did you pull this all off? *Dan laughs* This seems like one of the weirdest story lines in all of the CBL. I looked at all the deals and it looks like you won both deals trading him away and back in the long term. All I have to say is… how?!?! EM: Yeah, the Reynolds trades are crazy to look back on. My scout originally had him super raw and he was a bit older when he was drafted, so we were worried he wouldn’t develop. I think it’s safe to say he’s a better player than Jack White and Norberto Roman (the guys I got back), although they both look like solid youngsters. Within a few months I realized that was a pretty big mistake, because he’s just kept improving from day one. His defense isn’t great, but considering the lack of talented corner outfielders, Reynolds bat more than makes up for his below average D. Definitely happy he’s locked up for the foreseeable future, hopefully we can build enough up around him to finally win the PC. DC: Question 3. You’ve seemed to adopt the what I like to call ‘Syracuse Gary’ pitching staff. Only having 3 starters who don’t pitch as many innings and having a bigger bullpen. Do you think this staff can work well enought to win a championship? A lot of championship teams in the CBL have been known to have a workhorse pitcher or aces who can win the games when they need to. How do you address this trend to try to break it? EM: I do think it could lead to a championship, using the bullpen staff as we call it. However, currently I think the best strategy is to have three very good starting pitchers and use them in a relief role like I have used Albert Perez the last two seasons. They still will throw close to 200-230 innings like an elite starter during the regular season, but the matchups are better in my opinion using them later in games. Once we get to the playoffs, though, I would go to a normal 3-man rotation, without pitch counts, using my best three starting pitchers in a normal starters role. And then if I ever got past round 1, just go to a 4-man rotation. If my 4th starter is considerably weaker than my others, he’d have a 70 pitch count or something similar. Of course, until we actually win a damn playoff series none of these theories can be tested. DC: Last question. What are your plans for the season and how do you plan to make it to the CBL finals this year? It looks like Minneapolis could be another force to be reckoned with one again this season. EM: I expect the squad to be a playoff team again pretty easily, but without a true ace at the moment it’s tough to predict anything beyond that. Hopefully Edgardo Cordero can keep developing and become that kind of a pitcher, but time will tell. Should be another fun season regardless though. DC: Any final comments you would like to make? DC: Thank you for your time Erik and good luck. I always enjoy joking around with you and talking badly about your team even though you have a great organization. DC: Good points. Question 2. Which 3 players do you think people should look for this season, whether it be a breakout season, rookie making an impact 1st season, or even an acquisition that may need to fill in the shoes of another player who left? Or even a minor league player making his way through and having the potential to jump multiple levels or be called up something through the season? JL: This one I’m excited to talk about! I think the three players I’m most excited to see this year are Steve Kennedy my CF, Pat Beem my Catcher, and Jose Perez my fireballing ace. Steve Kennedy batted .203 last year but walked a ton, plays excellent defense, and can swipe bags at will. If we see that average climb he could be one of the best center fielders in the league. He’s only 23 so his game has some polishing left and I’m expecting big things from him. Pat Beem had a little bit of a coming out party last year.. he posted a 3.9 WAR and a .905 OPS. I expect him to only get better from here… it’s hard to believe he’s only 23 years old. Jose Perez is really exciting to watch… he posted a league beat 11.5 k/9 last season. If he can get his walks down he could take the league by storm! Very excited to watch the young fire baller work this year… him and Nunez could be a top flight duo! DC: Question 3. Of course I have to ask more hard hitting questions. Which non-Zima GM do you find it the hardest match up for you to play against, and which one has been easy to defeat in your years of experience in the league? DC: Question 4. What are your team plans for this year? What are you hoping to accomplish this season and what are your plans moving forward for the next 3 seasons? JL: My team plans is to grow as a unit. No more selfishness. It’s 1 for all and all for 1 here in Philadelphia now. We are turning the page from our last season and looking forward… My three year plan involves us winning the big trophy! We have such a young and talented team that has the chance to grow together! We have these guys under team control and can sign pieces to fill in because of it! Philadelphia is going to love this team and we are going to love the city! JL: My minor league ranking doesn’t concern me too much. On our 25 man roster we have 2 players over 30 years old! 16 players under 27 years old. We are young and athletic and we have these guys under team control… we’ll work through the draft and acquire talent for our farm system when and where we can. Our scout (Ramon Orozco) does a fantastic job. DC: That wraps this interview up! Thank you for your time and I wish you good luck. I however want to ask Justin one last question, why Philadelphia Liberty? Explain to us the move and the impact it will have on Altoona and Philadelphia. Also, why not name them the ‘Philadelphia Collins’? (Trailer Park Boys joke), or the Philadelphia Cheese steaks? DC: So many missed opportunities… However, we look forward to your being in Philly next year. Good luck next season! DAN: Welcome Trey. Thanks for joining me to answer some questions and drink some Texas Bourbon. More of a fan of Canadian Whiskey because I don’t really like corn. TREY: Hey Dan, it is my pleasure to join you. Thanks for making the trip all the way down to Texas from the great white wasteland. Let me pour you some Shiner Bock beer, they make it close by and it is much better than bourbon. DAN: I’m always up for a beer. You know me too well (lol). Lets start off with this question. The question everyone’s been wanting answered. 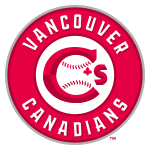 Last season you went 5-0 in the season series against the hard playing Vancouver Canadians. How did you do it? Seriously. I need to know how so it doesn’t happen again *Laughs*. You also won the season series vs RC 7-5. The only other team to win the season series against RC last season was the eventual 2029 champions Manchester Marauders. How did go from rebuilding and selling not too many seasons ago to a team that is dominant not only to lower standing teams but teams known to be tough match ups year after year? TREY: Wait…we went 5-0 vs. VAN last season? Considering that I don’t think this franchise has ever had a winning record against the Mounties from Canada, that has to be law of averages moving back into the norms. I would be shocked if it happened again. Our team really gets up for every series against Richardson City (which is only 3 hours north of here). Since they perennially the team to beat, our team tends to treat every series with them as a playoff series. <mumbles>…plus there is that off-books financial incentive. DAN: Next question. Looking at the minor league system rankings, you have the 1st rated system in the league. You also have an excellent product at the CBL level. It looks like Austin is primed to make another Premier Cup appearance in the near future. Is there any pressure to get to the finals? The HL has the Manchester and RC who looked unstoppable last season. How do you try to push yourself over the top and get another championship? TREY: Looking down our roster, I think we have a solid team that should compete. The loss of B.Perez is really going to hurt as he was an on-base machine for us at the top of the order…but Altoona, <ahem>, I mean, the Liberty made us an offer we just couldn’t refuse. There are so many great teams in our division though, guaranteed success just isn’t in the cards. You have to be getting better every season. 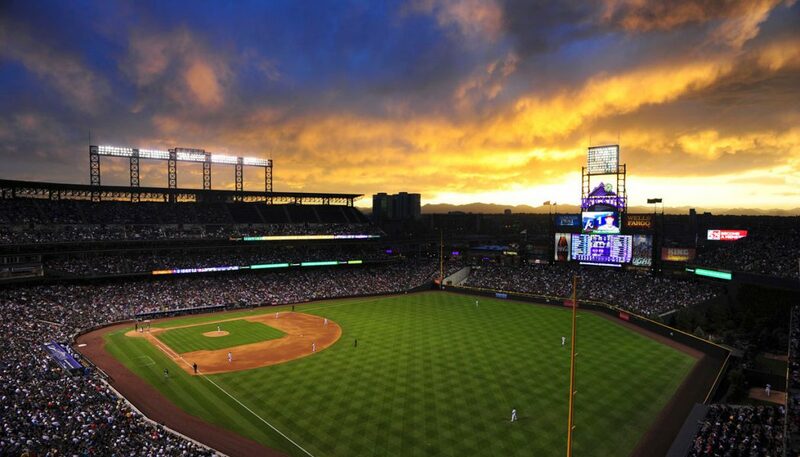 There is RC who is the perennial powerhouse, Golden State who will always be in contention with all-world Arvizu leading them, the mountain boys from Colorado who have a solid roster of deep young talent. The Liberty who have had some nice moves this offseason to make their team sleek, fast and almost Harry Potter magically defensive in the field. 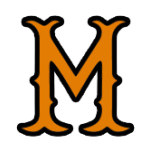 Manchester who always gets more out of their talent than any other team, the Sultans who have had some really bad luck in recent seasons, but who have an owner (Royce) who is patient and consistent in making that franchise great. Don’t sleep on the Arrows this season…Matt has been quietly acquiring some really good talent and they should surprise. Mahoning Valley rebuilt their team a few years ago with young talent..only the kids didn’t know they were supposed to lose, now they are grown up and MV is as loaded as ever. Portland went through a full rebuild a few seasons ago and behind their super talented, yet name challenged, Sam #Root should be a contender as well. That is a lot of words to say, keeping up with the Joneses is a full time job in the Hearland Division. DAN: A little related to the last question. You have Reggie Stocker listed at AAA after making 612 plate appearances in A+. Moving him up 2 levels is a bold move, even at age 23. He had an excellent season last year in A+ but do you think he can successfully make the jump to AAA this season? How much leeway will he have to perform before a demotion to AA would occur? How do you plan to work with him if he looks overwhelmed at AAA? TREY: First off, I can’t tell you how excited we are to have acquired Stocker. All of last season, our scouting team had their eyes on 5 prospects. CF Stocker, SP Silva, SP J.Perez (Liberty), 1B K.Garvey (Arrows), SS Philmon (Colorado). We were able to acquire two of them….at a great cost, but we made a conscious decision to trade away talented quantity for some special guys who we think will lead our team into the 2030s decade. Stocker is 23 and we think he wasn’t being challenged in the lower tier minors…complacent even. We are going to give him every opportunity to prove himself at the AAA level this season, but if he isn’t ready, or falters will make a decision at that time. We like to give players 100 ABs to get comfortable and then see how they are doing. DAN: Last question. Which position do you see yourself landing in the standings this year? Will you continue to embarrass other teams beating them 10-2 in the season series? (won’t list the victims :P) How do you feel about the children screaming “Make it stop! Make it stop!” as your team dominates another low standing team that just wants to look like they can compete? TREY:That is a million dollar question…like I mentioned above, the division is stacked. However, if our young players (C.Helgren, B.Luko, J.White) can all stay healthy and contribute we should be able to compete. This team still has good veteran leadership behind T.Kolek, J.Arevalo, A.Almora and D.Ma. Excitement is high in Austin and we are looking forward to the season. DAN: Austin is definitely a team to be reckoned with. Thanks for answering my questions Trey, as ridiculous as they can be. I wish you good luck with the season! TREY: Thanks Dan! Best of luck to you this season, except when you head to Austin! Dan Canadians: Welcome Richard to the interview and welcome to the CBL. Let’s get started. Question 1. As a 1st year GM, what mark are you looking to put on the league in your first season? Richard Scrappers: As a first year GM, I am just looking to be competitive and learn the players and how the league GMs operate. DC: Taking over a team that has been to the playoffs for the past 10 years, how are you planning on keeping the streak going? Is a rebuild a possibility in the coming years with an aging rotation and the rising of other teams in the HL? RS: If it ain’t not broke, don’t fix it. If the current players are competing at their top potential, then I will keep them together as long as we can afford it or they decide to move on. I enjoy drafting young players and watching them grow into the majors, and as players age out or move on, we will bring them in if they are ready. DC: You signed Mederios and Caneque this offseason. However, you lost Tanaka, Davidson and Piper, 3 players who contributed for just shy of 10 WAR. Who are you most excited for or looking to make the next step out of your CBL roster? RS: Were excited about adding Medeiros and Outman to the bullpen. It struggled a bit last year holding and closing out games, so we hope their addition will strengthen that aspect of the game. Luckily I was able to resign Tanaka and Davidson, at the time I entered the league, they has already decided to move into Free Agency. So I will get to evaluate them this season and see if they are still a good fit. Tanaka is aging (41), but still puts up good solid numbers and Davidson should hit 20+ HR and be around 100 RBIs. DC: Do you think CF Michael Jordan is the real deal? Over +12 ZR and .800 OPS at CF. Having those stats at CF is extremely rare. How do you feel taking over a team with some great young hitters but lacking some young pitchers? How do you plan to restock youth in the pitching area or would you rather use FA to address pitching in the future? DC: Whats your wackiest prediction for this upcoming season? RS: I’m not good at predictions and I don’t know the league all that well, but my craziest prediction this year is the MV will finally win the Cup after 10 failed attempts. DC: If you’re right on that prediction, I should make a bet since the payout could be huge! (lol) Thanks for the answers man. RS: No problem. Hope it helps. DC: Always does. Good luck with the season! Dan Canadians: Welcome Phil. Thanks for joining me to answer some questions on the upcoming season and to get to know you as a GM a little better. Did you have anything you wanted to say before we get started? Phil Dreamers: Just thanks for having me, it’s always a pleasure to visit Canada but I’m glad you’ve come to me this time! DC: You’re welcome! Lets get started. First question, You built a team that was successful in Portland and what I called at the time “the up and coming team”. You had great success there and decided to take over as GM for the California Dreamers. What challenges have you faced in California that you might not faced in Portland? PD: I think the league is very different now. GM’s are much more reluctant to trade now. The big stars don’t seem to attract as many prospects as before. GM’s like Gary and Mike seemed to be in an arms race and so there were always prospects to be had. Even when Justin joined there was a lot of trading – I remember we even discussed putting time limits on GM’s joining and making trades and the number of times players could move in a season. I also got lucky with a few guys – for example, Griffin Helms was left on the Rule V draft by Mike. I picked up Wes Hines blind by trusting Imran to give me a decent return on a trade – which he obviously did. And I caught Gary drunk one night to get Charlie King. So I guess I was also more open to trading! DC: Second Question. A little related to the previous question. You moved from the HL to the FL with the job change. The FL has been known to be a tough nut to crack to get into the playoffs since there are teams like Erie, Vancouver, Minneapolis who are competitive year after year. In addition, you have teams like San Diego, Charlotte, and Connecticut who are always competitive and make it extremely hard day in and day out. Does it change how you build your team in the FL than it does in the HL? PD: Honestly it doesn’t. I think you always want to create the best team you can and the division or league I’m in doesn’t really factor into any decisions I make, it is purely will this player help my team to improve. I’ve also found the teams you mentioned have GM’s who are always willing to trade. It’s a hard league to see improvements but in the early days in Portland it was also a tough place to be! DC: Third Question. It may only be his rookie year, but Jose Cortez looks like the real deal. He won the 2029 CBL FL Louisville Slugger Batting Champion and FL Rookie of the Year Award which is the first time in CBL history a rookie has won both. Afterwards, this off-season you were shopping him around but decided to hold onto him. What made you decide to shop him and why did you decide not to deal him? Is it due diligence to test the market on a player who could bring back a considerable return that could help a rebuild or upgrade talent at multiple positions? He is only 21 and I could see why you held onto him because he is an excellent player to build around. You don’t find hitters like that everyday, nonetheless at center field! PD: Indeed! He does look like a superb talent and I look forward to him being a Dreamer for a considerable stretch of time. That being said a few GM’s have expressed interest in him and I said I would listen. I operate with the philosophy that everyone has a price and if I was offered enough talent that would improve the team into the future then I would be tempted to pull the trigger. It probably goes back to the old days when I traded Chris Machammer, I think it was, and received 5 high potential players at different levels. But as I say I’m happy to see Cortez in Dreamers Orange for a while and hope that I can find enough talent to play around him. DC: Last Question. How long till you change your weird logo of a palm tree looking like he just smoked too many now legal joints in California? (lol) Is there a re brand in the works? I heard there were a few incidents last season with the man who put the palm tree mascot costume on taking on the role too seriously and smoking many joints himself leading to some tumbles down the stairs and sometimes passing out onto the field. I am personally a fan of this man and will hire him as my mascot if you fire him. PD: Ha ha! With many states legalizing cannabis, I’m sure that he will enjoying joining the team on a few away days this season! Currently I have no plans for a re brand however if you would like to make a trade for our mascot I’m sure you’ll find he comes at a very reasonable price! DC: Dude. I’d be willing to trade Mike Wheeler for your mascot. He is a legend. (lol) Thank you for your time Phil. Always great to talk to you. Been a fan since the years of that scary Panthers team in Portland. Good luck with the Dreamers this year! PD: No worries and thanks for the opportunity. Can I just take this opportunity to wish everyone a great season! DC: Of course! Always appreciate insight from other GM’s and you can definitely do so. We have a great group of GM’s in this league. Dan Courcelles | General Manager - Vancouver Canadians. GIS Analyst. Baseball and Blue Jays fan. Philosophy is my hobby.